DOM PERIGNON VINTAGE ROSE 2005 A fine example of the most beautiful cuvee of Champagne Dom Perignon rose is outstanding. Only a prestigious cuvee rose from the Dom Perignon brand can offer you this unique bouquet and aromatic complexity. The cuvee of Dom Perignon is certainly the most elegant of all and thus why it is so rare. The coppery pink salmon colour draws you in to the heady floral bouquet then the tightly focused citrus mineral red berry and baking spice flavors. It is extremely appealing now but should get even better over the next few years. 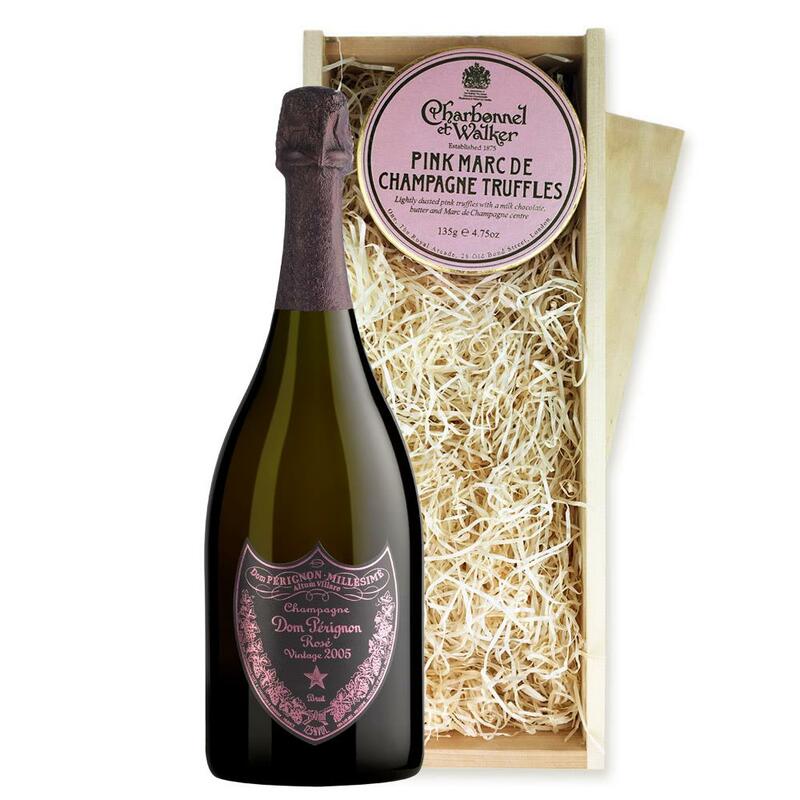 Sending Rose Champagne Dom Perignon Champagne is one of the finest. If you want to send more Dom Perignon gifts please see full list below.